Leadership development programmes fail for a number of reasons, but one common mistake is to underestimate people’s resistance to changing their beliefs or behaviour. The problem with change is that you are often asking people to let go of something well known and tangible in favour of something which may be completely alien and untried. In order to tackle this problem of pre-existent knowledge or behaviours we need to understand the notion of unlearning, which, may be as important as the process of learning itself. In simple terms, for new material to be properly learned it must enmesh with older knowledge, not be left lying beside existing patterns leaving them unchanged. This requires exploration of pre-existing knowledge and the the way in which it was acquired. This is particularly important when dealing with the sort of long-standing myths that often surround existing patterns of understanding and behaviour, and which may be invested with considerable emotional attachment. 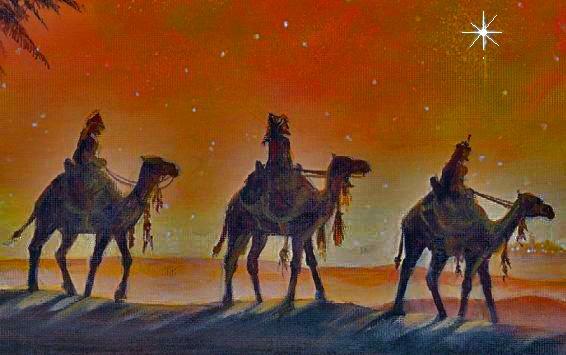 As this is Christmas let us take the festive narrative of the ‘the three kings’ as an example. For many people this is a deeply held story, despite having no foundation in bibblical truth. To correct this error we could simply tell them that they were not kings and there were probably not three of them. Such a statement will be assessed and may even be accepted out of respect for our assumed expertise, but it will nevertheless lie uneasily beside their existing knowledge, because it has challenged the source of that information. A few may be convinced, or at least say that they are, but most will quickly reject it in favour of longer standing knowledge and authority. Instead, we could show them the narrative accounts that speak of ‘certain magi’, not ‘three kings’. Such a reference will give cause for more serious reflection and a few more may be convinced. For most, however, we have still not challenged the weight of tradition and the emotional atmosphere of childhood, including Christmas cards, carols and the like, all of which have created an attachment to the idea of ‘three kings’. The only successful way to bring about the new learning will be through a process of unlearning, and this will come about by seeing how the two ideas, ‘three’ and ‘kings’, came about in the first place. Only as the learner comes to see how the description of the visitors in these narratives was altered will there be a major change in knowledge and behaviour. For example:how the statement in the Psalms ‘that kings from the East shall bring gifts, was quoted in the early Christian church; how the early representations of the magi in pictures and mosaics, with tall head-dresses, were taken by later interpreters to indicate royal imagery; how the fact that there were three gifts led to an assumption that there were three travellers. Through this process the learners will begin to understand the processes involved in the transformation of these stories, and their traditionally held views will adjust to the new information. This is a trivial example, but the process of unlearning holds true whenever change is required from existing knowledge or behaviour to new ways of thinking and acting. It is not enough to make authoritative statements about the need for change and give orders to that effect, because neither are likely to overcome the weight of tradition and existing practice. Nor is it enough to examine the basis of the old, undesired behaviour against the new desired behaviour. This may help some, but it will still lead to conflict of authority against authority. What is required is not a striaghtforward contradiction, but a lengthier examination of how the incorrect behaviour came about and has been reinforced through long acceptance and use, and how the new knowledge or behaviour is better suited to the new reality. Unlearning is challenging and time-consuming, but it is an essential part of learning new ways of thinking and behaving.